Reduce costs for you and your residents—and increase your property’s appeal—with free energy-saving products. 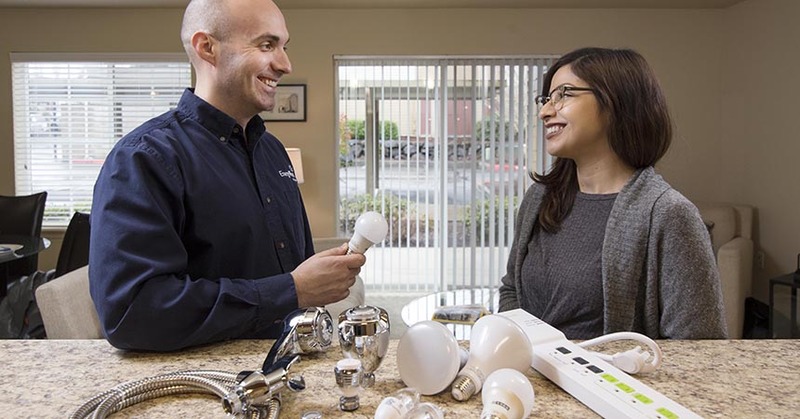 Energy Trust offers free installation of LED bulbs, faucet aerators, showerheads, and advanced power strips in dwelling units. These free products help residents save on their energy bills, while also reducing water consumption, which is typically the responsibility of the property owner. Dodge’s team makes sure to schedule the installation of energy-saving products with Energy Trust whenever they take on a new property or when they have a changeover of tenants. Both the property and tenants save on energy costs making the decision to schedule the service an easy one. “When tenants move in and realize they have LED bulbs and other energy-efficient products in their units, they look forward to the energy savings,” said Dodge. To schedule the installation of your free energy-saving products or to learn more about cash incentives, call us at 1.877.510.2130, email multifamily@energytrust.org, or click here. Next ArticleWhy wait to replace your gas boiler or water heater?